The middle of Copenhagen’s famous walking street (Strøget) has Denmarks first hosted Bitcoin ATM. A 1 way Lamassu (Cash In / BTC Out). 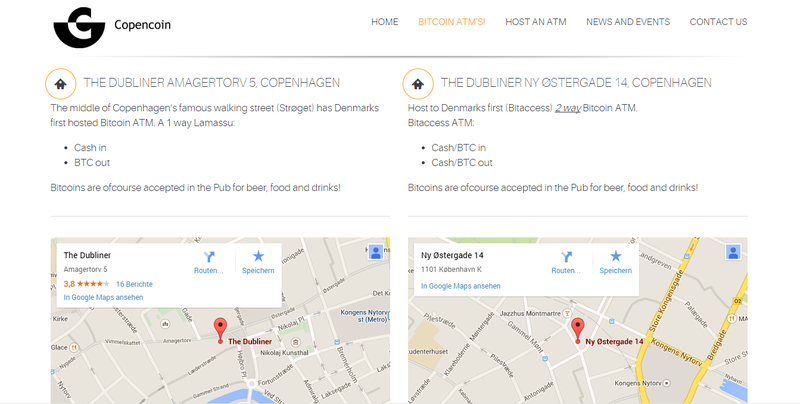 Now, The Dubliner in Ny Østergade in Copenhagen is host to Denmarks first (Bitaccess) 2 way Bitcoin ATM. A Bitaccess ATM (Cash/BTC In / Cash/BTC Out). Read more about the ATM’s and the Copencoin project here.